I began blogging nearly four years ago. I initially began blogging because I started seeing the word used more and more frequently in various media, and I didn’t know what it was. I decided the best way to learn about blogging was to blog. The experience has been better than I hoped! My favorite part of blogging has been the interaction I have had with you, those who read deeply committed. Recently, I have been trying to think about the many ways that people find their way to this blog and how I can better connect with all of you. And so, the purpose of this post it to point to some ways that we can further connect. Finally, if you like what you have read here and want to read more you can read my published writing. 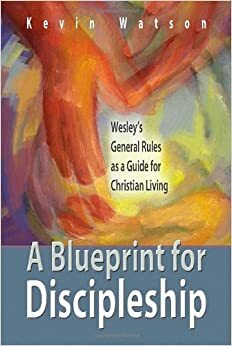 I have written a book on the General Rules and Wesleyan discipleship called A Blueprint for Discipleship. I was one of the co-authors of an introduction to John Wesley’s theology, as seen through his sermons, called Reclaiming the Wesleyan Tradition. 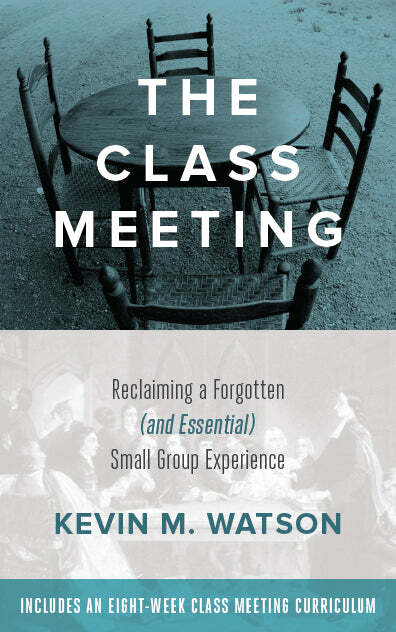 I have just had a chapter on small group discipleship published in Generation Rising. All three of these books were written primarily for the church, with the hope that they would be used in small group settings. You can also read an academic piece I wrote, “Forerunner of the Early Methodist Band Meeting”, that was published on-line in Methodist Review. Most important, please keep reading and commenting! For those of you who know much more about online communication and social media, I am sure I have missed something. What advice would you give me about how I can better connect with you and others? Thanks for the continued conversation! Often something you have posted relates to conversations I have had recently with others and I forward your email to them or post a link on fb. I not only appreciate the personal insights you share and the comments of others but also find your book reviews helpful. I have taught two classes using your book, Blueprint for Discipleship. I am now considering handing it out as a gift to second time visitors. I still hope to have you and the family visit sometime in the future. I am proud of your dilligence, faith, and vision. Thank you for sharing other connecting points, and for passing various posts on to others! It looks like we were commenting at the same time! Thank you for using my book and for considering giving it to second time visitors. If you decide to do that, I would be very interested in hearing how it is received. It is going to be touch to make it your way before the move, but I am still hoping something will work out. You and my dad (Don) recently corresponded, and I have bought your Discipleship book to learn more as I think it is critical to consider our theology and historical, methodical structure in my local church. I am a lay person. Thanks for your insights. Two comments, could you insert a “Share” option into your blog so we could share posts with others via Facebook or email? Those are available free, I believe. Also, I recently heard of someone leading a video-based book study on Facebook. Might you consider video-taping an overview/intro to each chapter so we could either use online or show in a small-group at church? I recently bought a Kodak Zi8 HD video camera for $100 on Amazon with a $25 lav mic that plugs in, so you could easily shoot that yourself and include video posts on your blog. Just a thought. Doug – Thank you for taking the time to comment. I enjoyed the recent correspondence with your father. I have already activated share options for facebook, twitter, and email. The buttons are at the end of the post, before the comments. Please let me know if you are not able to view them. I can see them on my mac. I appreciate the idea and interest in videos for Blueprint. I am in the midst of trying to knock out a chunk of my dissertation, so I can’t get to that right now. I will keep it in mind and talk to my publisher about it, or try to do something myself. Thanks! Hello my name is Steve Grosz, I recently read your book “Blueprint for Discipleship while I was staying at L’Abri in Australia. I was on a month long retreat specifically give focus to researching various models of discipleship and appreciated the background to the Wesleyan Class/Band approach. Really solid. I was hoping to pick your brain for a minute to see if you could provide me any guidance. I am currently developing a discipleship model utilizing groups of 3’s and 4’s. As i pilot program of about 50-60 participants “Triad” has begun to take shape and bear some fruit. I am, however, interested in doing more research into discipleship systems including: a survey of past models of discipleship (e.g. the Weslyan approach to name one), biblical mandates, characteristics of group process, etc. Currently i am a pastor serving in N. Minn. I received my M.Div at North Park in Chicago and am considering a THM in Trinity at deerfield, to have a year to focus in this area and write a thesis synthesizing these areas into an interdisciplinary work. I have already met with faculty members at Trinity and though a fine school finding enough course offerings that would support the above mentioned thesis may be challenging. As you are further down the road on this subject, I was hoping that you may be able to shed some light on any other opportunities that may be available that include enough academic rigor to leave the door open in case pursing a PHD in the future proves wise (like a THM would) and without necessarily requiring the term commitment of a D.Min. Thank you for any time and consideration you may be able to give in this.